Motaspares is a long established distributor and retailer of quality car batteries and products at economic prices. Since 1986 we have been providing Blackpool, Fylde and the surrounding areas with a range of top quality car batteries for all types of vehicles, from golf carts to vans, we also supply batteries for mobility scooters. 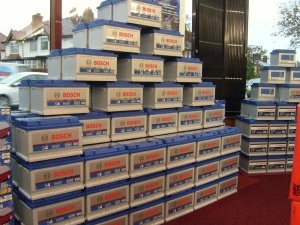 For the last 28 years we’ve proudly been associated with Bosch and are a Bosch main agent. In addition to our massive range of car batteries we supply numerous accessories, such as polishes and trims, lubricants, oils,towing accessories, wipers, paint, tools, seat covers, anti freeze, de-icers, mirrors, window tint, car covers,clutches, brakes, filters,bulbs, security and general accessories. Our accessible store is welcoming to all customers, with friendly staff on hand to offer impartial advice. 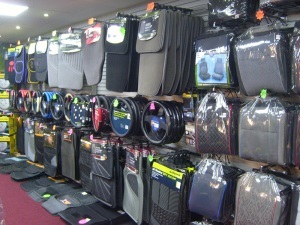 Our aim is to provide you with everything you need to keep your car on the road. Open times Monday to Friday 8:30am to 5:30pm. Open times Saturday 8:30am to 4:00pm. Open times Sunday 10:00am to 4:00pm. Car won’t start, or difficult to start, you may need a new battery for your car van or motorcycle? Or perhaps you need a specialist charger? At Motaspares we stock, supply and provide top brand Bosch car batteries at competitive prices, the advantages of Bosch are the national guarantee, competitive prices and Motaspares back up service. We’re sure we’ll have what you are looking for. Motaspares also offer a pre-winter appraisal of your battery and alternator to ensure trouble free motoring. Visit us or phone our experts on 01253 304 415 for advice and a quote.